So, what's better than a Yankees game? Right now, almost everything. 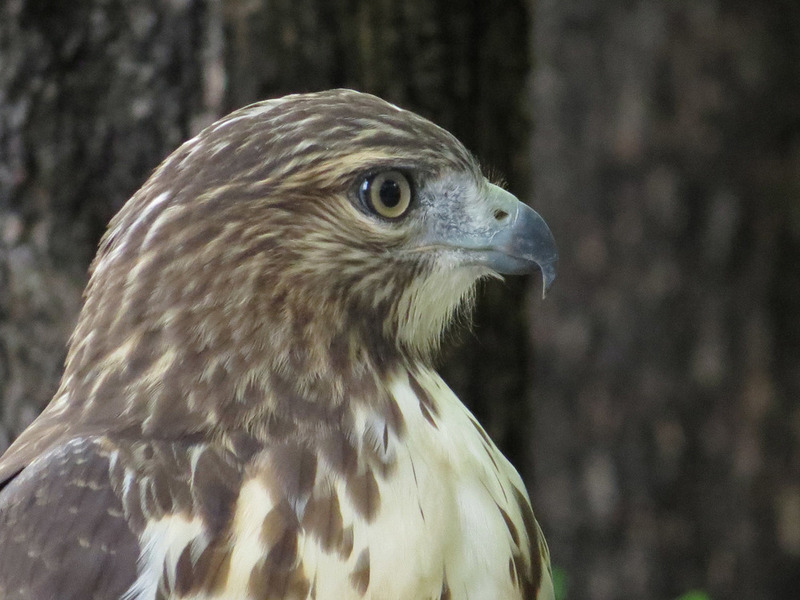 But on July 24, it was chasing the hawks in Tompkins Square Park. July 24 was actually a quite fun time in the Bronx, where the Yankees beat the San Francisco Giants that afternoon, 5-2, and I was able to stay the whole game since Chad Green closed it out. But after the game, I rushed on the 4 train down to Tompkins Square and immediately found one of the three red-tailed hawk babies cooling off in the sprayers behind the bathrooms and a second one in a nearby tree. There were lots as paparazzi as the youngster entertained us for quite a while, playing with a stick and later with a leaf. A young hawk and a stick — the best toy ever! I'm not sure if we saw all three young hawks that day, or two, but the video — very long, but skip around, the fountain activity is at the beginning — captures the bather, a trip to a nearby building to peek in a window, another baby in a tree, and lots of chasing of leaves and squirrels. 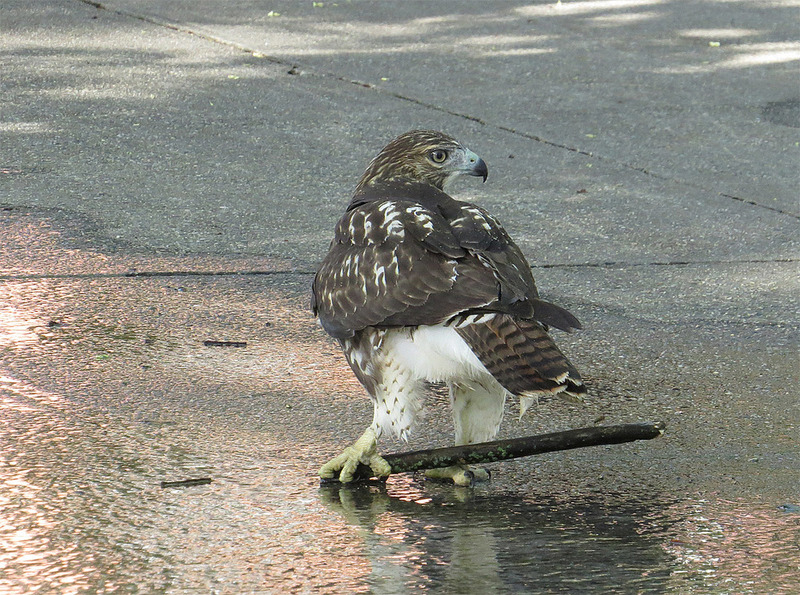 The video, Part IX of the July With the Tompkins Square Hawks series I've put on YouTube, is below. I included Part V on the dry ice blog posting, and I'm still working on Parts VI and VII. Since July is now officially over, I will be finishing up the series soon. The photos below are from one of the best hawk-chasing days this summer. Newer PostMemo to Yankees: Get Rid of Cashman! Older PostGoodbye, Andrew Miller! Goodbye, Yankees!